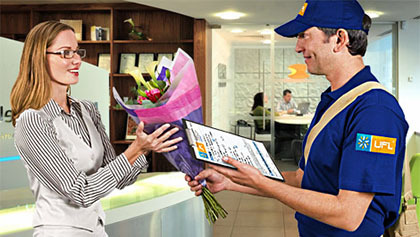 Flower delivery to Almaty is 988 ₸. Minimum order price to Almaty - 0 ₸. The cost ot the night delivery (from 8 PM to 10 AM*) is 1625 ₸ (in addition to the basic cost of delivery). Usually all deliveries are between 10 AM — 8 PM*, another time should be agreed with manager. Night delivery is not guaranteed. Delivery till 12 PM* of the next day can be done if you make order till 6 PM* of the previous day, otherwise delivery will be proceed between 12 — 19 PM* of the next day. Terms of order delivery is 4 hours from the moment of payment. Some of bouquets we can deliver within 2 hours. Urgent delivery should be agreed with managers. Orders «for today» are accepted until 6 PM*.